Sometimes a call to the plumber is the result of something that’s completely out of your hands, like a burst pipe, a sewer line break or leak, or to install a new water heater or bathtub. But let’s face it, we’re human, and many of us have had to call a plumber for something we could have prevented. We’re talking about clogged drains and pipes as a result of putting something down the drain or flushing an item down the toilet that’s better off being tossed in the garbage or recycling bin. To help you avoid the burden of unclogging a backed up sink or toilet on your own, or a call to the plumber, we’ve come up with a top ten list of items you should never put down a drain (or garbage disposal, for that matter). Cooking oils, butters and margarine that are tossed down the drain when hot can congeal in the pipes. Eventually, this will make debris you send down drain stick to the pipe and eventually cause a blockage. This also happens when you pour animal fat (like bacon dripping) and vegetable fats like coconut oil down the drain. To dispose of fats safely, pour them in a metal container (like a coffee tin), cover, and throw away. The verdict is out whether to reuse fats or not. While they may not be good for the waistline, grease and oils are definitely not good for the drain. These belong in the compost bin. The reason? Eggshells are very hard on garbage disposal blades and even small pieces of eggshell can collect in pipes and cause a blockage. The biggest issue with putting coffee grounds down the drain is that they won’t break down in water. Since they aren’t water soluble, in time remaining grounds in the drain will clump together and cause a clog. Coffee grinds are best left for the compost pile. Both semolina and rice will swell when flushed down the drain and will cause blockage. While newer types of pasta made with rice or vegetables (usually gluten-free pasta) may be slightly better for drains, we advise against putting this type of pasta down the drain, too. The same goes for most types of rice including brown and arborio rice. Make sure to peel any produce stickers off your fruits and veggies and discard them so they don’t end up in the drain. The stickers can adhere to the sides of pipes and can even damage the water filters at your city water treatment center. It’s critical that you take any unused or expired prescription medications back to the pharmacy. Most wastewater treatment systems don’t have the ability to filter out medications which can end up in rivers and lakes. This not only contaminates the water, it can be dangerous to fish and all water wildlife. Most people know that sanitary napkins aren’t flushable, but tampons aren’t either. Sanitary napkins are simply too thick to be flushed down toilets and will almost instantly cause a blockage. They aren’t biodegradable either, so they’ll pollute water if they don’t clog the pipes first. Tampons, as well as their wrappers, are not flushable, and most manufacturers note this on tampon boxes, but they are often still the cause of toilet clogs. Tampons will expand in water, which makes it easier for them to get stuck in pipes. Like sanitary napkins, flushable wipes including baby wipes, facial wipes, are too heavy and thick to be flushable. Eventually, they’ll get stuck and cause a pretty significant clog in the drain. Consider this: toilet paper will disintegrate completely within 24 hours. When a wipe is flushed down the toilet, it can take weeks for it breaks down. Then, as each wipe gets flushed down the toilet, they accumulate to cause a big clog. If you think flushable cat litter is too good to be true, you’re right. Not only can large clumps of cat feces coated in clay or a biodegradable material like corn, wheat, or walnut shells, clog toilets, flushing cat droppings down the toilet can allow a parasite called toxoplasma gondii to enter the water supply, and that can cause toxoplasmosis in humans. Because bleach is a toxic substance, you should never pour it down a drain. Doing so can cause the bleach to mix with different substances in your pipes which can result in toxic fumes. 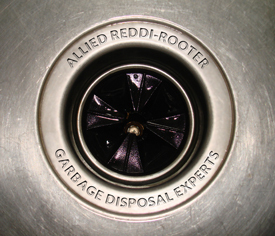 Remember: If you’re concerned an item may clog a drain, it probably will. When in doubt, throw it in the garbage can. Keep this top ten list handy, and get in the habit of never flushing these items down the drain. « Sewer Gas — It Stinks!